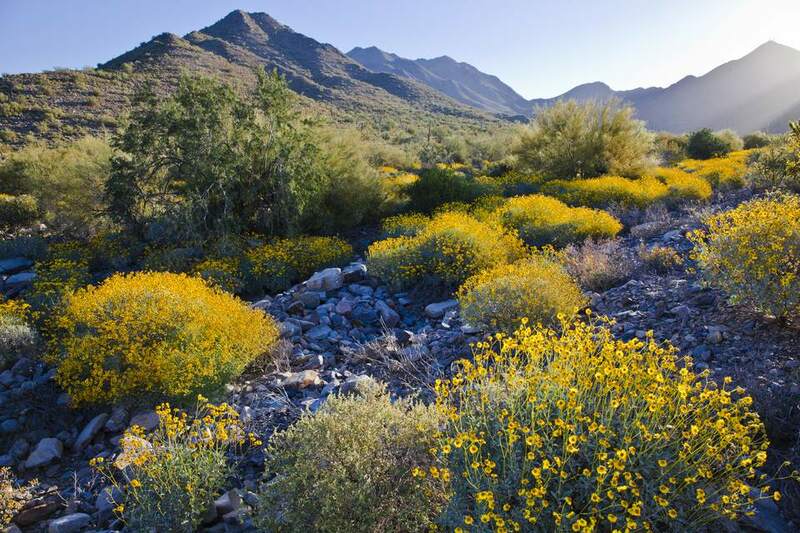 What Is Arizona's Plant Zone? If you plan to do landscaping around your house, want to establish a garden, or if you want to purchase a single plant for you or a loved one in Phoenix, Arizona, then it might help to know your plant zone. The desert plants that are best suited for growth in the area are those that fit in zone 13, according to the Sunset magazine guide, or in zone 9, according to the U.S. Department of Agriculture. There are two standard zone maps used throughout the U.S., one led by the USDA and another by a popular lifestyle magazine. Sunset determines a zone based on total climate and other variables, including the length of growing season, rainfall, temperature lows and highs, wind, humidity, elevation, and microclimates. The USDA determines a zone-based only on the winter temperature lows. The USDA hardiness zone maps only tell you where a plant may survive the winter. Sunset zone maps help you determine where a plant may thrive year-round. Sunset magazine and website are geared toward home and outdoor living issues for 13 states in the West. Phoenix is considered lower desert based on its elevation above sea level, and so zone 13 is correct for most of the Phoenix area. You will find that in Phoenix and Scottsdale, the local garden shops and nurseries might prefer to use the Sunset zone instead of the USDA hardiness zones. It is still helpful to know the hardiness zone for Phoenix in case you order plants or seeds online or from catalogs. The USDA plant hardiness zone map is the standard across the country by which gardeners and growers can determine which plants can survive at a location. The map is based on the average annual minimum winter temperature, divided into 10-degree zones. You can use the interactive USDA zone map to input your zip code to see which plant hardiness zone applies to you. This is also helpful if you want to buy a plant as a gift for someone elsewhere in the U.S. that is intended to be planted outdoors. By using your gift recipient's zip code, you can be certain that you are sending a plant or tree that can live in that environment. Do you want to plant a giant sequoia (not to be confused with a saguaro cactus) or redwood tree in your local park or in your yard? It will not fare well in the desert. If you live in a part of the Valley of the Sun that gets down to 20 to 25 degrees in the winter, you would use USDA zone 9a. If it does not get quite that cold, but gets to 25 or 30 degrees at the coldest days, use USDA zone 9b. In the warmer parts of Phoenix, you can also use USDA zone 10. After your trees, vegetables, shrubs, and flowers are planted and thriving, you can use a monthly desert garden checklist to see what garden activity is recommended for each season. What is a Sequoia Cactus? How Does the Food Stamp Program Work in Phoenix?